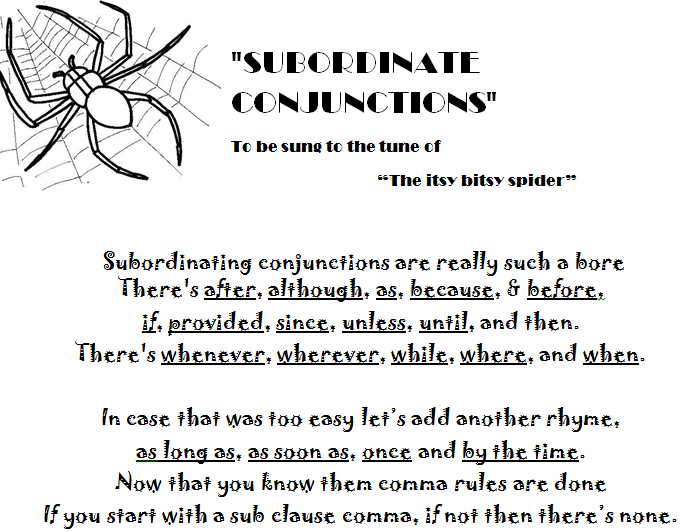 A while ago I found a song about subordinating conjunctions created by another teacher from her blog That Ridiculous Girl I loved it and have used in in class ever since! 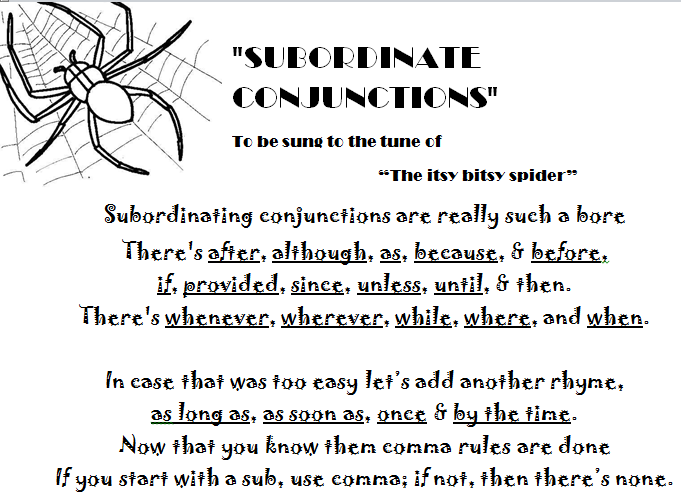 Now, using this to help students memorize subordinating conjunctions is great! But as always remember Bloom! Try to get them to use higher level thinking! Rewrite the song in your own words. Transition words can be divided into different categories (addition, contrast, comparison, etc.). Sort the subordinators listed above into their different categories. Find a song which uses them, and punctuate the lyrics correctly. 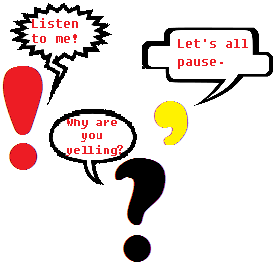 What if a conjunction were a person. What kind of person would "if" be? What about "whenever"? Draw a personification of the word and explain it to the class. 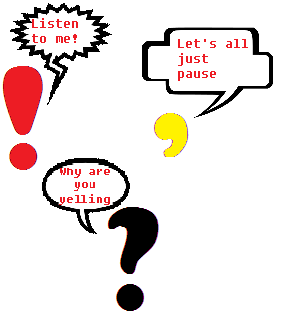 How else do you help your students use subordinating conjunctions? how i really love this song....i am planning to use this during my demonstration.. I hope your demonstration went well! I think you meant 'now that you know HOW' them comma rules are done'? That certainly works as well, but I meant "Now that you know them," as in, "Now that you know the subordinating conjunctions"
Of course you're free to sing it however you like!